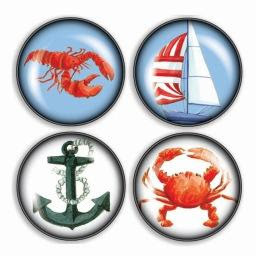 Thanks to Summer I discovered this site that has so many great nautical items! I saw a lot of the Thomas Paul in a cute boutique in Venice this past weekend. I am so tempted to buy it for my new place! I love those coasters! 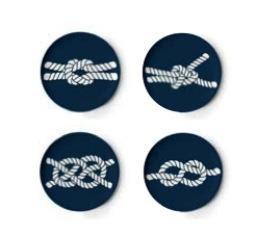 I went to Michael's today and they had some adorable nautical stationary in their $1 section! Oh that gold and white tote!!! SWOON! That TOOOOTTTEEEE! I absolutely love the huge gold anchor. I'm relatively certain I need that ASAP! 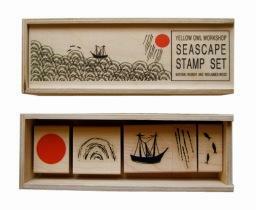 Ooooh those coasters would go fantastic in my living room! That bag with the giant gold anchor rocks! 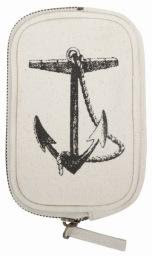 love that bag with the anchor!!! 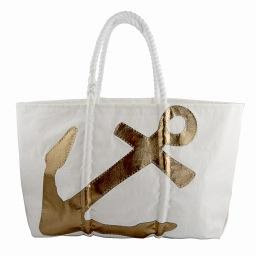 The gold anchor tote.... it needs to be on the beach with me!! Love coming to your blog for shopping inspiration! Thank you for introducing me to Sea Bags. I LOVE them (and your blog)! 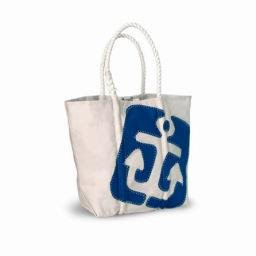 Love that Sea Bag tote! !